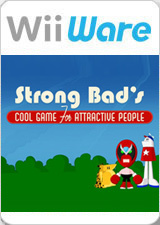 Strong Bad's Cool Game for Attractive People - Episode 1: Homestar Ruiner is an episodic point-and-click adventure game developed by Telltale Games based on the Homestar Runner web cartoon, with Strong Bad as the lead character. A total of five episodes were released for WiiWare and Windows between August 11, 2008 and December 15, 2008. The graph below charts the compatibility with Strong Bad's Cool Game for Attractive People - Episode 1: Homestar Ruiner since Dolphin's 2.0 release, listing revisions only where a compatibility change occurred. 3.0-878 Windows 7 Intel Core i3-2100 @ 3.1GHz Intel IGP 35-38% of speed. Need to enable FrameBuffer. Audio (HLE) shuttering, often playing same audio buffer 2-3 times. †.fl.l). 4.0-7506 Windows 8.1 AMD Athlon II X3 @ 2.9GHz NVIDIA GeForce 440 Game completed. Get 60-65% of speed. If downclock virtual Wii CPU to 59% - get 100% of ingame speed (with lower FPS). Game rarely hangs cause of downclock. (don't foreget what native PC version exist :) †.fl.l). This page was last edited on 16 January 2018, at 07:57.